Rough and Tumble best describes all little boys and what they like to do. 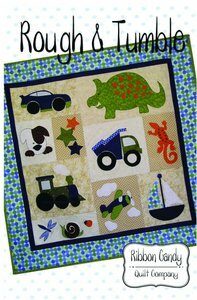 This wall hanging is the perfect match for them., this quilt will go about anywhere. 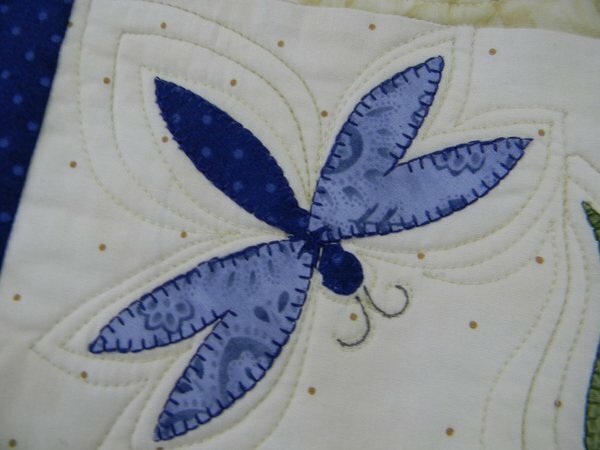 The images are appliqued with fusible webbing. 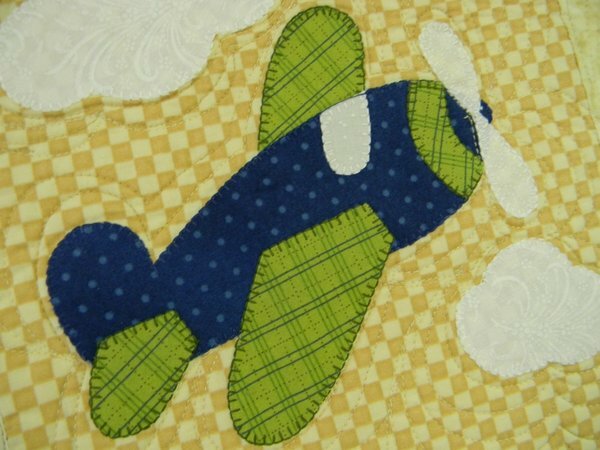 The pattern comes with full size templates and very detailed instructions and diagrams. 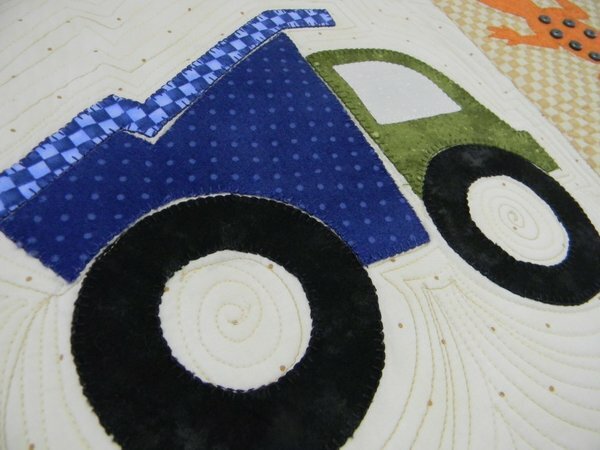 You can make the whole quilt and then pick a block and make a matching pillow for his bed.